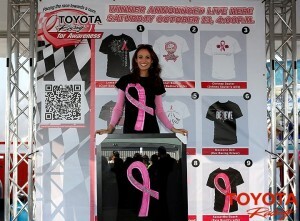 I wanted to say THANK YOU to everyone for voting for my Toyota Racing, Racing for Awareness T-Shirt design. I was so honored to win this contest, but most of all to be able to be a part such a great cause and to raise money for Carolina Breast Friends. 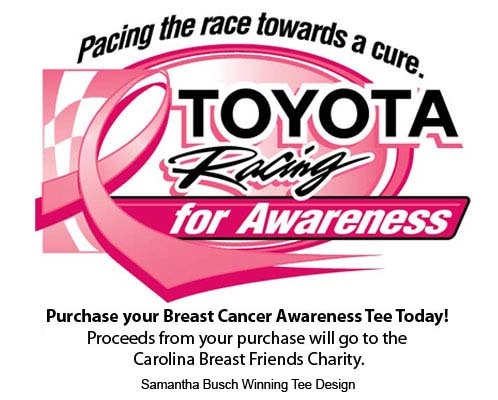 The shirt is now available at ToyotaRacingGear.com and at track on the Toyota Racing Pit Pass. All proceeds to Carolina Breast Friends.